This study examined the development of Technological Pedagogical And Content Knowledge (TPACK) in mathematics and science of pre-service special education teachers via one course. The course focused on the three domains of knowledge related specifically to integrating instructional technology into mathematics and science teaching and learning namely, Technological Content Knowledge (TCK), Technological Pedagogical Knowledge (TPK) and TPACK. The Survey of Pre-service Teachers’ Knowledge of Teaching and Technology developed by Schmidt et al (2009) was used to measure pre-service teachers’ perceptions of knowledge. A paired t-test revealed that upon completion of the course requirements, students perceived to have had significant gains in each of the domains of teacher knowledge addressed in the course - effect sizes were large (between .69 and 1.10). Further, significant gains were also found in the area of Pedagogical Content Knowledge (PCK) but with moderate effect size. Tournaki, N. & Lyublinskaya, I. (2014). Preparing Special Education Teachers for Teaching Mathematics and Science with Technology by Integrating TPACK Framework into the Curriculum: A Study of Teachers’ Perceptions. 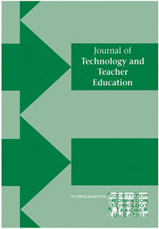 Journal of Technology and Teacher Education, 22 (2), 243-259. Waynesville, NC USA: Society for Information Technology & Teacher Education. Retrieved April 21, 2019 from https://www.learntechlib.org/primary/p/43833/.